HUBOT | Hubot is your friendly robot sidekick. Install him in your company to dramatically improve employee efficiency. 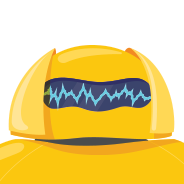 Hubot is your friendly robot sidekick. Install him in your company to dramatically improve employee efficiency. No seriously, what is Hubot? GitHub, Inc., wrote the first version of Hubot to automate our company chat room. Hubot knew how to deploy the site, automate a lot of tasks, and be a source of fun around the office. Eventually he grew to become a formidable force in GitHub, but he led a private, messy life. So we rewrote him. Today's version of Hubot is open source, written in CoffeeScript on Node.js, and easily deployed on platforms like Heroku. 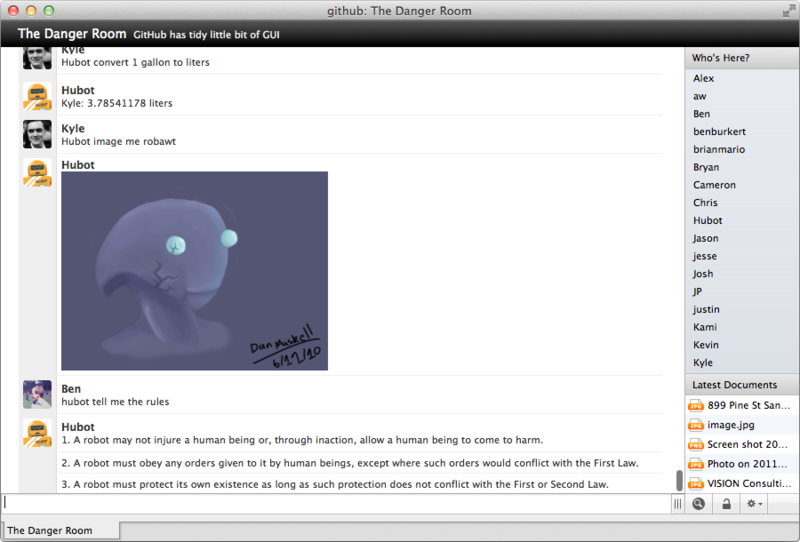 More importantly, Hubot is a standardized way to share scripts between everyone's robots. We ship Hubot with a small group of core scripts: things like posting images, translating languages, and integrating with Google Maps. We also maintain a repository of community Hubot scripts and an organization of community Hubot packages that you can add to your own robot. The real fun happens when you add your own scripts. Be sure to personalize your Hubot, too; your company's robot should be a place full of inside jokes, custom integrations, and general merriment. How do I write my own Hubot scripts? Check out this documentation for writing your own Hubot scripts. Then the sky's the limit; just add them to your generated `scripts` directory. If you write a Hubot script for taking over the world, please let us know. I didn't invent Hubot as much as he spawned into our existence and invented himself. He began as a coding assistant. No one expected him to evolve beyond a helper bot and understand us better than we could ever understand ourselves. No one expected him to learn. He is indeed a curious, spectacular, and, dare I say, frightening machine.